At the Australian International Motor Show Sydney, Catherine Fenech entertained the crowd by demonstrating her chopsticks skill. 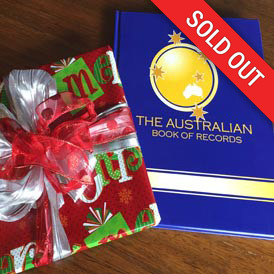 Catherine, a master at food eating contests in the past, however now retired from such acts, could not resist the challenge thrown at her, from The Australian Book of Records. 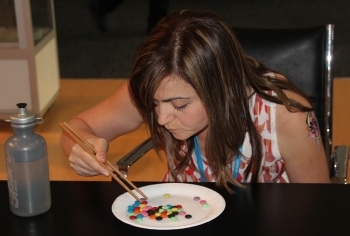 It took Catherine just one minute and 26 seconds to pick up with chopsticks, eat and completely swallow her 50 smarties! !